Stoieva T. V., Dzhagiashvili O. V., Ryzhikova T. I., Bratkova L. B., Bondarenko T. O. Objective: to determine the significance of the intestinal enterotype with the predominance of Prevotella flora in synthropic functional gastrointestinal disorders in children. Material and methods. In total 76 children aged from 2.5 months to 16 years were examined. 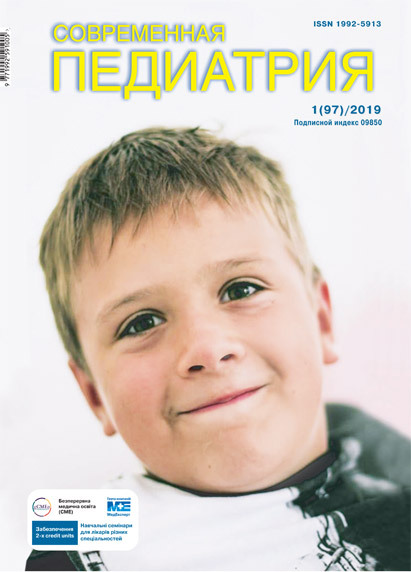 The main group (n=57) consisted of patients with diagnosed functional gastrointestinal disorders (FGID), control (n=19) included children who did not have a history of digestive system diseases. In addition to the general clinical examination, a molecular study of the supernatant of faecal samples of patients was carried out using the sequencing method to determine marker genes of 16S RNA Prevotella copri. Results. A significant difference was found between the groups (χ2=5.2; р=0.02), the main and control, according to the presence of representatives of P. сopri in the supernatant of faeces, which were identified in (61.4±6.4)% and (89.5±7.0)% of patients, respectively. The overall level of P. copri in the main group was significantly lower (106.9±70.5), than in the control group (260.9±22.9), р<0.05. When comparing the quantitative parameters of P. copri a significant difference was found between synthropic and isolated FGID: for children with irritable bowel syndrome, it was high P. copri content (OR=0.06 (95% CI 0.01–0.61, p=0.018)) and its minimum amount (OR=0.06 (95% CI 0.01–0.56, p=0.009)); for patients with functional biliary disorders, the significant difference in the number of patients with a minimal mean value of P. copri was determined (OR=0.16 (95% CI 0.04–0.68, p=0.021). Conclusions. In functional gastrointestinal disorders, a decrease in the number of representatives of Prevotella was found in 40.4% of children (95% CI 33.9–46.9, р<0.05). At the same time, the minimum number or absence of P. copri (p=0.009, p=0.021) was associated with the development of synthropic functional gastrointestinal disorders. Key words: children, functional gastrointestinal disorders, enterotype, Prevotella copri, synthropic pathology. 1. Belyaeva IА, Bombardirova EP, Mitish MD, Potekhina TV, Kharitonova NА. (2017). Ontogenesis and dysontogenesis of intestinal microbiota in young children: a trigger mechanism of child health disorders. Voprosy sovremennoj pediatrii. 16(1): 29–38. 2. Bovbel' IEH. (2017). Modern ideas about the intestinal microbiota and the possibility of effective use of probiotics in pediatric practice. 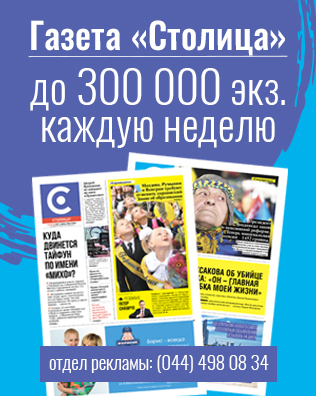 Meditsinskie novosti. 2: 37–43. 3. Zakharenko SM. (2017). The role of microbiota in human life and the prospects for the prophylactic use of probiotics. Meditsinskij sovet. 15: 61–67. 4. Innovative approaches to microbiome correction in pediatric practice. (2016, Jun). Zdorovia Ukrainy. Pediatric. 2(37): 4–6. 5. Makarova SG, Namazova-Baranova LS. (2015). Intestinal microbiota and use of probiotics in pediatric practice. What's new? Pediatricheskaya farmakologiya. 12(1): 38–45. 6. Molozhavaja OS, Ivakhnyuk TV, Makarenko АN, Broz' RV. (2016). Functions of the intestinal microflora of the organism in norm and in pathology. Aktualni problemy suchasnoi medytsyny. 16(4): 333–340. 7. Disorder of microbiome and functional pathology of a gastrointestinal tract in children: acute questions of daily practice. Proceedings of the Symposium (2017). Consilium Medicum. Pediatriya. 4: 59–66. 8. Smirnova GI, Mankurte GR. (2015). Intestinal microbiota and atopic dermatitis in children. Rossijskij pediatricheskij zhurnal. 18: 46–53. 9. Bull MJ, Plummer NT. (2014). Part 1: The Human Gut Microbiome in Health and Disease. Integrative Medicine: A Clinician’s Journal. 13(6): 17–22. 10. Mandal RS, Saha S, Das S. (2015). Metagenomic surveys of gut microbiota. Genomics Proteomics Bioinformatics. 13(3): 148-58. 11. Kang D-W, Park JG, Ilhan ZE, Wallstrom G, LaBaer J, Adams JB, Krajmalnik-Brown R. (2013). Reduced Incidence of Prevotella and Other Fermenters in Intestinal Microflora of Autistic Children. PLoS ONE. 8(7): 68322.